Winter Travel - Get Me Out of the Snow! The Global Health Volunteer Program (GHVP) is FIMRC's flagship international volunteer program. As a GHVP volunteer, you can currently travel to eight of our project sites in seven countries! No major or career path is necessary to make a difference, just the willingness to give back to a community in need. Individual volunteers as well as groups are welcome to travel at any time and for any length of time. We maintain staffing at each site devoted to leading volunteer activities, so you work side-by-side with staff members and medical professionals who are on the front lines of providing health care to communities in need. 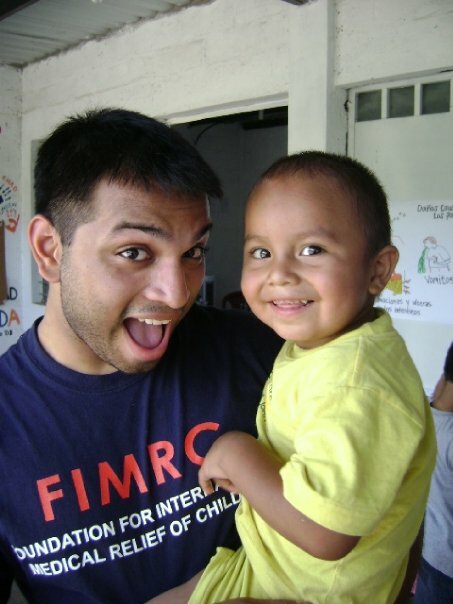 All FIMRC programs are structured to ensure volunteers contribute in meaningful, sustainable ways and are an integral component of our goal to bring long-term change to underserved communities around the globe. As a GHVP volunteer, you can travel to one of our many project sites around the world to immerse yourself in diverse cultures, traditions and medical practices! Explore our project sites below to determine the best fit for your volunteer experience. Flexibility. Our sites are open year-round! Rather than only opening volunteer programs during specific weeks, you craft your experience around your dates of availability and choose your site placement. Programs that fit your interests. Since our team is involved in every aspect of operations, we know how to ensure that your skills and interests are being put to use to make a difference. Long-term impact. You work alongside staff on sustainable projects where your contributions will last well after you board your plane home. Community matters. All of our programs are based on community needs so you can be confident you are participating in a responsible volunteer program. Compassion is a universal language. There are no language requirements to volunteer at any of our sites. Perspective for your professional career. Many of our volunteers go on to pursue professional degrees and find that their volunteer experience is talking point during admission interviews and classroom discussions. Empty your preconceptions, not your wallet. We are proud to offer program costs that sustain our project sites while remaining at or below similar organizations’ costs. By joining the FIMRC team, our volunteers become part of a growing global network of individuals creating change in communities around the world. Through extensive outreach efforts, countless education programs, and assisting in our clinics, our volunteers leave a lasting impact wherever they go. Follow the link below to hear from our alumni first hand. To begin, please fill out the Get Started Form below. A team member will be in touch with additional information about FIMRC, our locations and volunteer options, as well as details on how you can start planning your volunteer experience.